Our Community Tools section includes: Guidance for Prospective Home Buyers, information about How an Aircraft Works, a listing of Frequently Asked Questions, a Link and Learn page for learners of all ages to find out more about aviation, noise, the environment and science, and a Glossary of Terms. The method of reducing the degree of intensity of noise and the use of such a method. The measurable height of an aircraft above the actual terrain. The science of sound, including its production, transmission, and effects. The distance Above Ground Level. The movable areas of a wing form that control or affect the roll of an aircraft by working opposite one another -- up-aileron on the right wing and down-aileron on the left wing. Airport Noise and Capacity Act of 1990, prohibits U.S. airports from adopting overly restrictive or outright punitive anti-noise ordinances. Air Routine Traffic Control Center-A facility established to provide air traffic control service to aircraft operating on IFR flight plans within controlled airspace and principally during the en route phase of flight. When equipment capabilities and controller workload permit, certain advisory/assistance services may be provided to VFR aircraft. Air Traffic Control - A service operated by the appropriate authority to promote the safe, orderly, and expeditious flow of air traffic. Air Traffic Controller-This person works in the control tower and talks to pilots by radio. An Air Traffic Controller tells the pilots when and where they can land their planes at the airport. Air Traffic Controller Tower-A terminal facility that uses air/ground communications, visual signaling, and other devices to provide ATC services to aircraft operating in the vicinity of an airport or on the movement area. Authorizes aircraft to land or takeoff at the airport controlled by the tower or to transit the Class D airspace area regardless of flight plan or weather conditions (IFR or VFR). A tower may also provide approach control services (radar or non-radar). The acute angle at which a moving airfoil meets the air stream. The American body that publishes the standards used by the acoustics professionals, stands for the American National Standards Institute Glossary of Common Noise Terminology. ANSI S12.3-1985 (R 2006) American National Standard Statistical Methods for Determining and Verifying Stated Noise Emission Values of Machinery and Equipment. Aviation Safety and Noise Abatement Act of 1979, principle law supporting federal efforts to identify and reduce noise and non-compatible land uses around civil airports in the U.S. The American body that publishes standards outlining how to carry out certain acoustic measurements so that the results can be compared between different users, stands for the American Society for Testing Materials Glossary of Common Noise Terminology. the average single number noise level over a given period of time with a stated exchange rate. The A-weighted scale is a scale that adjusts frequency content to approximate how the ear hears. It is implemented using A-weighted decibels (dBA). The dBA is the most common unit used for measuring environmental sound levels. It adjusts, or weights, the frequency components of sound to conform with the normal response of the human ear at conversational levels. dBA is an international metric that is used for assessing environmental noise exposure of all noise sources. The overall sum of all the noise present at a specific location and time usually measured or referred to without the presence of the main noticeable offending noise. Since the pressure of a fluid is proportional to its velocity, airflow over the upper surface of an airfoil causes suction [lift] because the air stream has sped up in relation to positive pressure of the airflow on the lower surface. Noise covering the whole of the audio range of frequencies and usually measured with one of the standard frequency weighting filters. Any type of goods that a plane is carrying, including suitcases, golf bags and boxes. The measurable distance between the leading and trailing edges of a wing form. Area located at the front of the plane where the Pilot and Co-Pilot sit. All of the instruments and controls needed to fly the plane and talk to the control tower are also located in this area. The 24 hour average noise level of all hourly Leq measurements with a 10 dB penalty added to the levels between 2200 and 0700 hours and a 5 dB penalty added to the levels between 1900 and 2200 hours to reflect people's extra sensitivity to noise during the night and the evening. Navigation in which altitude and flight path can be maintained by visual reference to the ground and its landmarks. Similar to VFR. Contact Flight in and around mountainous areas following visual reference to the terrain's contours. An airspace of defined dimensions within which air traffic control service is provided to IFR flights and to VFR flights in accordance with the airspace classification. Controlled airspace is a generic term that covers Class A, B, C, D, and E airspace. Controlled airspace is also that airspace within which all aircraft operators are subject to certain pilot qualifications, operating rules, and equipment requirements in FAR Part 91. For IFR operations in any class of controlled airspace, a pilot must file an IFR flight plan and receive an appropriate ATC clearance. Each B, C, and D airspace area designated for an airport contains at least one primary airport around which the airspace is designated (for specific designations and descriptions of the airspace classes, refer to FAR Part 71. This is the building where Air Traffic Controllers work. From here, the Air Traffic Controller talks to pilots who are on the ground and those who are in the air. Person who sits in the cockpit with the Pilot. The Co-Pilot is also known as the first officer and monitors the plane's controls and gauges while the Pilot flies the plane. The 24 hour average noise level of all hourly Leq measurements with a 10 dB penalty added to the levels between 2200 and 0700 hours to reflect people's extra sensitivity to noise during the night. To watch the DNL video, click here. The A-weighted Decibel (dBA) is the most common unit used for measuring environmental sound levels. It adjusts, or weights, the frequency components of sound to conform with the normal response of the human ear at conversational levels. dBA is an international metric that is used for assessing environmental noise exposure of all noise sources. The C-weighted Decibel (dBC) is the method of measuring sound which takes into account the low frequency components of noise sources, such as aircraft operations, and reflects their contribution to the environment. The process of decreasing altitude. A dimensionless unit of acoustic measurement in sound level meters where 0dB is the threshold of normal hearing and 130 dB is the threshold of pain. A lighter-than-air craft capable of being propelled and steered for controlled flight. A lateral fin/rudder extension on the top of a fuselage. The resisting force exerted on an aircraft in its line of flight opposite in direction to its motion. Compare Thrust. A physiological process for locating distant or invisible objects (as prey) by sound waves reflected back to the emitter (as a bat) from the objects. The movable part of a horizontal airfoil which controls the pitch of an aircraft; the fixed part being the Stabilizer. Air traffic control services provided aircraft on IFR flight plans, generally by centers, when these aircraft are operating between departure and destination terminal areas. When equipment, capabilities, and controller workload permit, certain advisory/assistance services may be provided to VFR aircraft. The Effective Perceived Noise Level (EPNdB) is another unit of measure for aircraft noise. It is based on how people judge the annoyance of sounds they hear with corrections for the duration of the event and for pure tones. The Federal Aviation Administration (FAA) uses EPNdB in the certification of large transport planes for Federal Noise Regulations (FAR Part 36). Federal Aviation Administration, the federal agency that is responsible for the safe and efficient movement of aircraft through the National Airspace System. The FAA has broad legislative authority to create and enforce Federal Aviation Regulations. A 1/8 second averaging time in the detector of a sound level meter. Federal Aviation Regulations (FARs) are rules provided by the Federal Aviation Administration. The FARs are part of the Code of Federal Regulations (CFR). CFR Title 14 provides regulations for aeronautics and space. The topics for some of the FARs follows. FAR Part 91 -General Aviation (portions apply to all operators) FAR Part 103 -Ultralight Vehicles FAR Part 105 -Parachute Jumping FAR Part 108 -Airplane Operator Security FAR Part 119 -Certification: Air Carriers and Commercial Operators FAR Part 121 -Domestic, Flag, and Supplemental Air Carriers and Commercial Operators of Large Aircraft FAR Part 123 -Travel Clubs FAR Part 125 -US Civil Airplanes, seating 20 or more passengers or a maximum payload capacity 6,000# or more FAR Part 127 -Air Carriers using helicopters for scheduled interstate flights (within the 48 contiguous states) FAR Part 129 -Foreign Air Carrier and Foreign Operators of US registered aircraft engaged in common carriage FAR Part 133 -Rotorcraft External Load Operations FAR Part 135 -Air Taxi Operators and Commercial Operators. FAR Part 137 -Agricultural Aircraft Operations. FAR Part 141 -Flight School. A committee formed in 1993 to provide forums for discussion of public and private sector proposals on aviation noise and to identify and encourage needed research. All Federal agencies concerned with aviation noise are represented on the committee, including the Department of Defense (Air Force, Army, Navy), Department of Interior (NPS), Department of Transportation (FAA), Environmental Protection Agency, National Aeronautics and Space Administration, and Department of Housing and Urban Development. A movable, usually hinged airfoil set in the trailing edge of an aircraft wing, designed to increase lift or drag by changing the camber of the wing or used to slow an aircraft during landing by increasing lift. Also see Fowler Lap, Slotted Flap, and Split flap. This person helps you find your seat on the plane, reviews safety information prior to takeoff, and serves you snacks and beverages while the plane is in the air. The small fluctuations in a sound that cover the audible range of tones from about 20 Hz to about 20 kHz for the normal hearing of an adult Glossary of Common Noise Terminology. Analyzing an overall broadband noise to identify the different contributions in different parts of the audio spectrum. An aircraft's main body structure housing the flight crew, passengers, and cargo and to which the wings, tail and, in most single-engine airplanes, engine are attached. This is where you wait for your plane. Gates usually have seats that you can sit in and televisions that show information about the Airport and current news. Gates are also the areas where you leave the airport building to board your plane. You can either walk through a jetway/loading bridge or walk outside to get to your plane. That portion of civil aviation which encompasses all facets of aviation except air carriers holding a certificate of public convenience and necessity from the Civil Aeronautics Board and large aircraft commercial operators. (1) The angle between horizontal and the glide path of an aircraft. (2) A tightly-focused radio beam transmitted from the approach end of a runway indicating the minimum approach angle that will clear all obstacles; one component of an instrument landing system (ILS). Global Positioning System; satellite-based navigation. Approval for landing. A carryover expression from days when aircraft for the most part had no radios, and communication from a control tower was by means of a light-gun that beamed various green, red, and yellow signals to pilots in the air and on the ground. The total weight of an aircraft when fully loaded; aka Takeoff Weight. Tower control, by radioed instructions from air traffic control, of aircraft ground movements at an airport. The actual speed that an aircraft travels over the ground -- its "shadow speed"; it combines the craft's airspeed and the wind speed relative to the aircraft's direction of flight. An enclosed structure for housing aircraft. Originated with the floating homes of the original German Zeppelins in which they were "hung" from cables,which explains the erroneous, oft-seen spelling of "hanger." A wingless aircraft acquiring its lift from revolving blades driven by an engine about a near-vertical axis. A ROTORCRAFT acquiring its primary motion from engine-driven rotors that accelerate the air downward, providing a reactive lift force, or accelerate the air at an angle to the vertical, providing lift and thrust. An aircraft-engine quieting device added to aircraft engines originally certified as Stage 2 in order to meet more stringent Stage 3 standards. Speed of flight at or greater than Mach 5.0. A computer model developed, updated and maintained by the FAA to predict the noise impacts generated by aircraft operations. Capable of being understood or comprehended. The international body that publishes the standards used by the acoustics professionals, stands for the International Standards Organization, deals with how acoustic measurements are to be performed. One nautical mile per hour, about 1.15 statute miles (6,080') per hour. The average noise level over a period of time that uses an exchange rate of 4, 5 or 6 in the calculation of the final value. The equivalent continuous noise level that contains the same amount of noise energy as the actual varying noise, the Leq is a special case of the Lavg with the Q=3 exchange rate. Situated on, directed toward, or coming from the side. The force exerted on the top of a moving airfoil as a low-pressure area that causes a wing form to rise. The lift of a wing divided by the drag, or the lift coefficient divided by the drag coefficient, as the primary measure of the efficiency of an aircraft; aka L/D Ratio. The proportion between lift and weight commonly seen as g (sometimes capitalized) -- a unit of force equal to the force of gravity times one. '''Maximum Noise Level (Lmax)' measures noise at its highest level during one noise event. Long Range Navigation system, which utilizes timing differences between multiple low-frequency transmissions to provide accurate latitude/longitude position information to within 50'. The subjective judgment of intensity of a sound by humans. Loudness depends upon the sound pressure and frequency of the stimulus. A number representing the ratio of the speed of an object to the speed of sound in the surrounding air or medium in which it is moving. To make indistinct or imperceptible. The highest reading with a specified frequency weighting and time response in a sound level meter. The lowest reading with a specified frequency weighting and time response in a sound level meter. Type of fuselage design with little or no internal bracing other than bulkheads, where the outer skin bears the main stresses; usually round or oval in cross-section. Additional classifications are (1) Semi-Monocoque, where the skin is reinforced by longerons or bulkheads, but with no diagonal web members, and (2) Reinforced Shell, in which the skin is supported by a complete framework or structural members. The common network of US airspace; air navigation facilities, equipment and services, airports or landing areas; aeronautical charts, information and services; rules, regulations and procedures, technical information, and human resources and material. Included are system components shared jointly with the military. Noise Compatibility Program, a list of actions the airport proprietor, airport users, local governments, and the FAA propose to undertake to minimize existing and future noise/land use non-compatibilities. 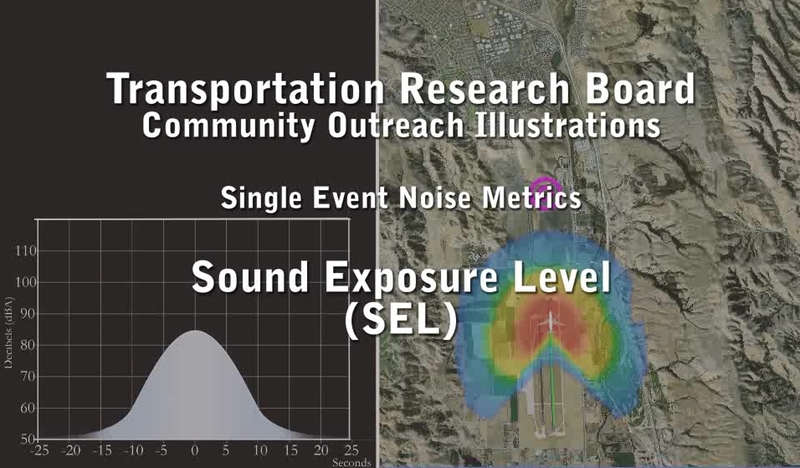 Noise Exposure Map, describes the airport layout and operation, aircraft-related noise exposure, land uses in the airport environs, and the resulting noise/land use compatibility situation. The Noise Monitoring System (NMS) is a sophisticated, acoustical system which monitors noise impacts by time of day, season and on an annual basis. It also monitors noise levels generated by a variety of outside aircraft activities and obtains accurate data of aircraft flight tracks and fleet mix. Massport's NMS uses ENOMS (Environmental Noise and Operations System) to collect and process the same information in a similar manner. The NMS has 29 locations in the Logan area and 6 locations at Hanscom. Noise and Operations Monitoring System, collects aircraft flight track data and noise event information for the analysis of flight patterns and the resulting noise impacts. Most often defined as the presence of unwanted sounds, can be damaging to hearing if it is too loud or can be just annoying if it interferes with the normal enjoyment of others. A map representing average annual noise levels summarized by lines connecting points of equal noise exposure. The single number figure that gives an approximate method for choosing personal hearing protectors for workers in noisy industries, compare with the figure on the protector to choose the best one for the specific noise source under investigation. Analyzing a noise into smaller ranges of frequency where the normal audio range is split up into 9 or 10 separate bands each of which is an octave wide. A law passed by a local town or city or state to indicate any limits that have been imposed on the production of offending noises in the community, may be written in simple overall 'A' weighted terms or may require octave band measurements to control tonal problems. Relating to the largest order (Passeriformes) of birds which includes over half of all living birds and consists chiefly of altricial songbirds of perching habits. The path of aircraft traffic around an airfield, at an established height and direction. At tower-controlled fields the pattern is supervised by radio (or, in non-radio or emergency conditions by red and green light beams) by air traffic controllers. An equivalent averaging time of less than 0.0001 seconds in the detector of a sound level meter. The absolute highest sound pressure of the noise signal of either the positive or negative part of the sound wave. The noise level, in decibels, exceeded for N % of the total measurement time such that the 10% level for an hour is the noise level exceeded for 6 minutes in total. The regular storage of noise levels during a run over medium to long term intervals such as 1 minute to 1 hour duration. The 8 hour allowable long term noise level for a working days exposure. A branch of biology that deals with the functions and activities of life or of living matter (as organs, tissues, or cells) and of the physical and chemical phenomena involved. Person who sits in the cockpit with the Co-Pilot and flies the plane. Broadband noise across the whole audio spectrum that contains an equal amount of energy in all octave or third octave bands. Any of an order or suborder (Pinnipedia) of aquatic carnivorous mammals (as a seal or walrus) with all four limbs modified into flippers. (1) Of the three axes in flight, this specifies the vertical action, the up-and-down movement. Compare ROLL and YAW. (2) The angle of a propeller or rotor blade in relation to its arc; also the distance advanced by a blade in one full rotation. The separation of all air traffic within designated airspace by air traffic control. Taking off or landing on specified runways during certain hours to avoid residential areas. The storage of regular noise levels during a measurement to show how the noise varied with time, usually taken at short intervals such as 1 sec up to 1 minute. Of the three axes in flight, this specifies the action around a central point. Compare PITCH and YAW. A powerplant that rotates on a stationary propeller shaft. An American invention by Adams-Farwell Co (1896), it was first used for buses and trucks in the US (1903), then copied by French engineers for early aircraft engines (1914). A heavier-than-air aircraft that depends principally for its support in flight on the lift generated by one or more rotors. Includes helicopters and gyroplanes. The movable part of a vertical airfoil which controls the yaw of an aircraft; the fixed part being the FIN. A routine procedure for testing an aircraft engine at a high power setting. Engine run-ups are normally conducted by airline maintenance personnel checking an aircraft engine or other on board system following maintenance. 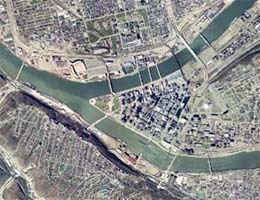 A strip of level ground, usually concrete, that airplanes takeoff and land on. These are used to protect the flight crew and passengers from possible dangers when flying in the plane. These checkpoints prevent people from carrying weapons and dangerous materials onto the plane. The speech interference level provides a way to evaluate how much a noise will interfere with the reception of speech. It is the arithmetic average of the levels in the octave bands that are most important for the understanding of speech. The octave bands centered at 500, 1000 and 2000 Hz are typically used in the calculation. The spacing of aircraft to achieve safe and orderly movement in flight and while landing and taking off. A compressional wave of high amplitude caused by a shock (as from an earthquake or explosion) to the medium through which the wave travels. Signal-to-noise ratio is the dimensionless ratio of the signal power to the noise power contained in a signal. A 1 second averaging time in the detector of a sound level meter. The unit used to assess the loudness of a noise that depends on its spectral content and level. The equivalent continuous noise level of an event including all the actual noise then referenced to a notional duration of 1 second. To watch the video Sound Exposure, click here. Reducing the sound level inside a building through the installation of specific building construction materials, and component assemblies that provide increased noise reduction characteristics. An instrument, which is used for the measurement of sound level, with standard frequency weighting and standard exponentially weighted time averaging. The total amount of noise inherent in a particular noise source independent of the acoustic environment that it is in. The instantaneous changing sound level with a selected frequency weighting and time response. Airspace of defined dimensions identified by an area on the surface of the earth wherein activities must be confined because of their nature and/or wherein limitations may be imposed upon aircraft operations that are not a part of those activities. Airspace established outside of Class A airspace area to separate or segregate certain non-hazardous military activities from IFR traffic and to identify for VFR traffic where these activities are conducted. Airspace designated under part 73 within which no person may operate an aircraft without the permission of the using agency. Airspace designated under FAR Part 73, within which the flight of aircraft, while not wholly prohibited, is subject to restriction. Most restricted areas are designated joint use and IFR/VFR operations in the area may be authorized by the controlling ATC facility when it is not being utilized by the using agency. Restricted areas are depicted on enroute charts. Where joint use is authorized, the name of the ATC controlling facility is also shown. Aircraft that meet the noise levels prescribed by FAR Part 36 and are less stringent than those established for the quieter "Stage 3" designation. The Airport Noise and Capacity Act required the phase-out of all Stage 2 aircraft over 75,000 pounds by December 31, 1999. Aircraft that meet the most stringent noise levels set in FAR Part 36. A strip of land that pilots drive their planes on before takeoff and afterlanding. Pilots use taxiways to drive back and forth between the gate area and the runway. Analyzing a noise into smaller ranges of frequency where the normal audio range is split up into 27 or 30 separate bands each of which is a third octave wide. The equivalent steady level over a given period of time that contains the same amount of noise energy as the actual changing noise level. The total amount of workplace noise exposure expressed as an equivalent standard 8 hour working day. The difference between the noise levels across a partition between two or more rooms. A boundary layer may be laminar or turbulent. A laminar boundary layer is one where the flow takes place in layers, i.e., each layer slides past the adjacent layers. A turbulent boundary layer contains mixing across several layers. A hoofed typically herbivorous quadruped mammal. VYSE = Best Rate of Climb Speed, one engine out. A fin/rudder extension on the bottom of a fuselage. Opposite of DORSAL FIN. Visual Flight Rules that govern the procedures for conducting flight under visual conditions. The term is also used in the US to indicate weather conditions that are equal to or greater than minimum VFR requirements. Also used by pilots and controllers to indicate a type of flight plan. Movements of a body such as a machine or fan that are transmitted through the structure and detected as a motion with a given amplitude and frequency. Meteorological conditions expressed in terms of visibility, distance from clouds, and ceiling equal to or better than specified minima. VOR + TACAN (Tactical Air Navigation); combined radio navigation aids. The physical distance between identical points on successive waves. Broadband noise across the whole audio spectrum that contains an equal amount of energy in all frequencies when measured on a linear frequency scale. The "zero" or un-weighted frequency correction curve corresponding to the Linear setting on some instruments.